On the 26th of this month, at Birmingham Town Hall, the achievements of some of the most inspirational people within our gymnastics community will be recognised and celebrated at the 2019 British Gymnastics National Awards. We are pleased to introduce you to the following eight people who will receive the award later this month. 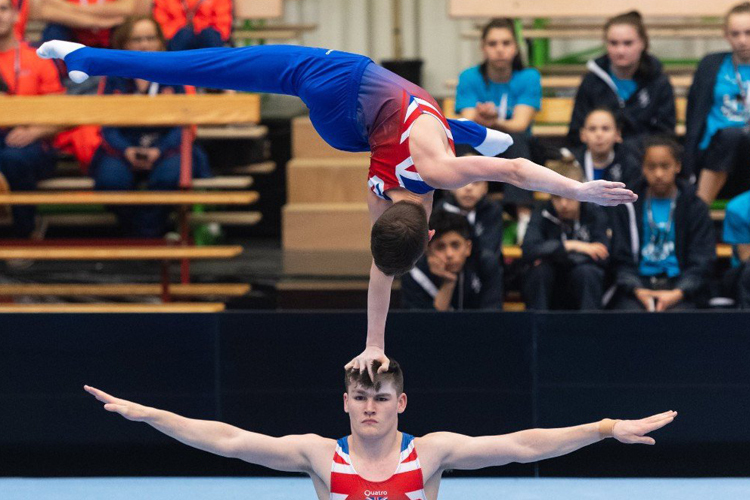 A gymnast for 12 years before becoming a coach and national judge, Ben has committed his spare time to the sport for many years. He was one of the youngest Technical Committee Chairs, and has been Competition Director for the London Open for 20 years. 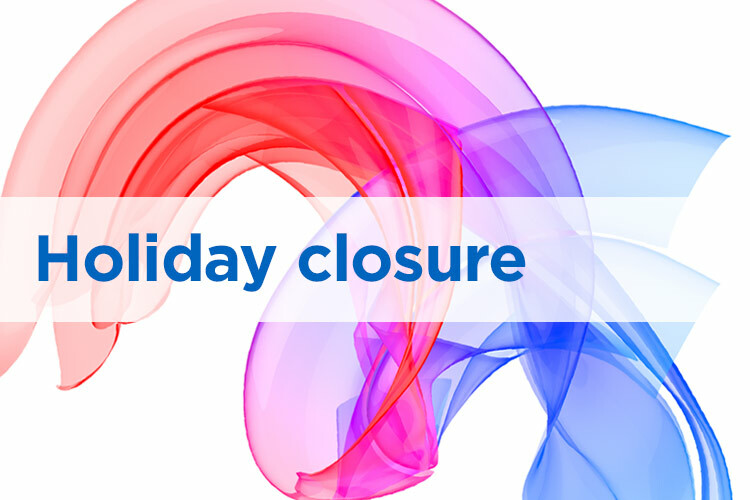 Competition Manager at the 2009 and 2015 World Championships, and the Artistic Gymnastics Manager at the 2012 Olympics, Ben has also been the London Gymnastics Chair for five years, leading a forward-thinking region. Anne’s gymnastics journey began as a parent when she took her daughters to festival gymnastics. That has led to a near 30-year involvement in our sport that continues today. Anne became involved in the London Festival, eventually taking the role of Event Director. From there, she became involved in the London Regional Executive Committee where she held the role of Chairman for over three years. Anne is selfless in her endeavours, providing support to gymnastics in all that she does. Elaine has played a significant part in the continued development of Women’s Artistic Gymnastics for more than 40 years. Initially a trainee coach, Elaine then set up her own club. A Level 5 coach, she has coached numerous international gymnasts and for many years was South West Regional Coach. Elaine has recently retired as a Brevet judge, having judged at numerous prestigious events. Her passion for gymnastics stemmed from the involvement of her children, and that passion continues to this day. In 1998 Helen was one of the first GB coaches to gain the British Gymnastics International Performance Coach Award, and as one of the founders of Bristol Hawks Gymnastics Club, she has been coaching world class gymnasts for over 30 years. Helping to develop the club from the beginning, Helen continues to enjoy being part of the family team. She has also been instrumental in developing the coaching careers of many other coaches, through mentoring, tutoring and technical workshops. A competitive gymnast until the age of 15, Nicola then began coaching at King James Community Centre. Nicola, along with former gymnast Rachael Wright took over in 1990, moving the club to its first permanent facility to form South Durham Gymnastics. Nicola has been an integral part in the club’s success. Away from the club, Nicola has been a member of the North Women’s Technical Committee for the last 15 years, was a regional judge from the age of 18 and was recognised with the Outstanding Coach of the Year award in 2017. Rachael was a competitive gymnast until the age of 15 before coaching at King James Community Centre. Along with former gymnast Nicola Preston, Rachael took over the club in 1990, helping to form South Durham Gymnastics. The club continues to go from strength to strength, with Rachael playing a key part in the ongoing success. Rachael is a member of the North Women’s Technical Committee and was a regional judge from the age of 18. She was also awarded the Outstanding Coach of the Year award in 2017. Andrew has been a leading light for Men’s Artistic Gymnastics for over 30 years in numerous different capacities. Initially as an elite level gymnast, where he represented Britain at the Olympic Games, World and European Championships, Andrew went on to become a performance coach in both men’s and women’s artistic. He is the former Chair of the British Men’s Artistic Technical Committee, and oversaw the men’s artistic programme. Andrew continues to provide outstanding service in all of the roles he undertakes. A former recipient of the Award of Merit, Kathy volunteers an incredible number of hours to our sport. 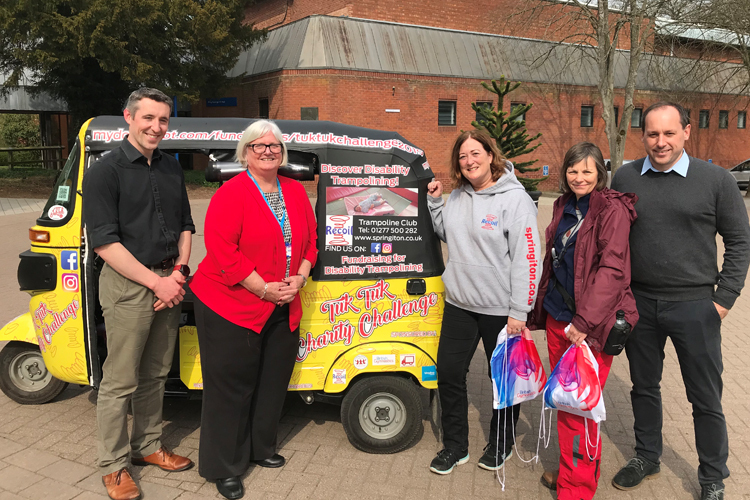 Not only does she volunteer for the trampoline, tumbling and DMT events, Kathy also volunteers for all major championships run by British Gymnastics. Completely dedicated to the sport, Kathy is reliable, trustworthy and willing to help out with all tasks. She shows no sign of stopping any time soon, and continues to support all events, most recently in Glasgow at the 2018 European Championships. 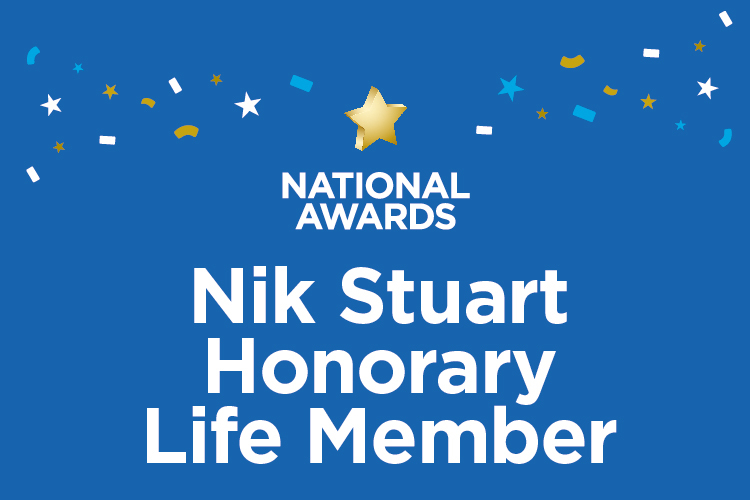 Congratulations to all of our Nik Stuart Honorary Life Members. In December, we announced who the recipients will be of the Award of Merit. Read more.